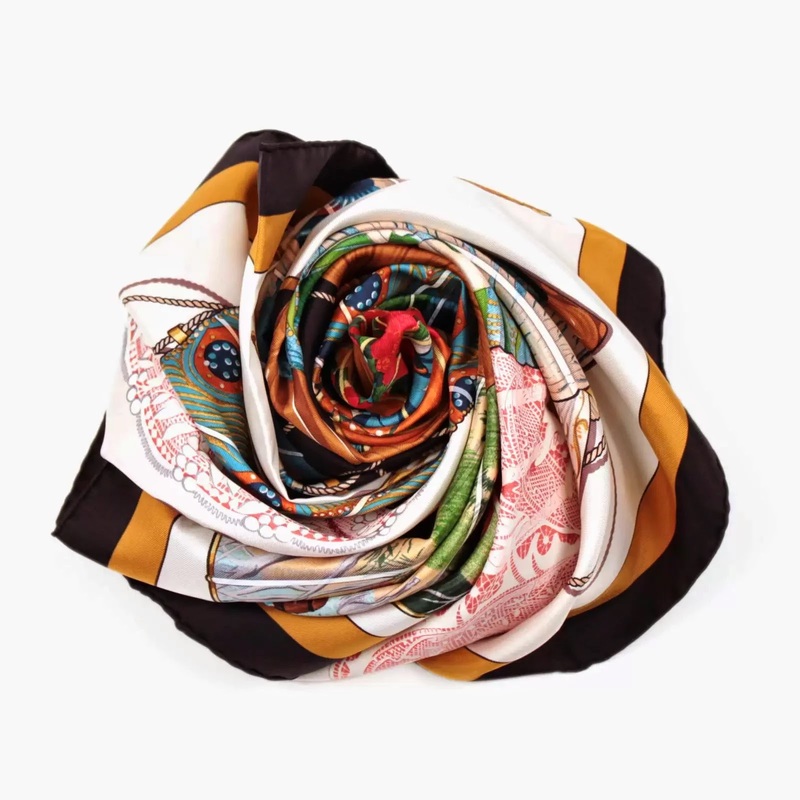 Introducing Hermes Brise de Charme scarf at Once Again Resale. The noted artist and designer, Julia Abadie, did the graphics work for this, which was made in 1985 and t has never been re-issued. With a background of a beautiful white, it depicts, in marvelous detail and a rainbow of colors, a panoply of hand painted 18th and 19th century fans. 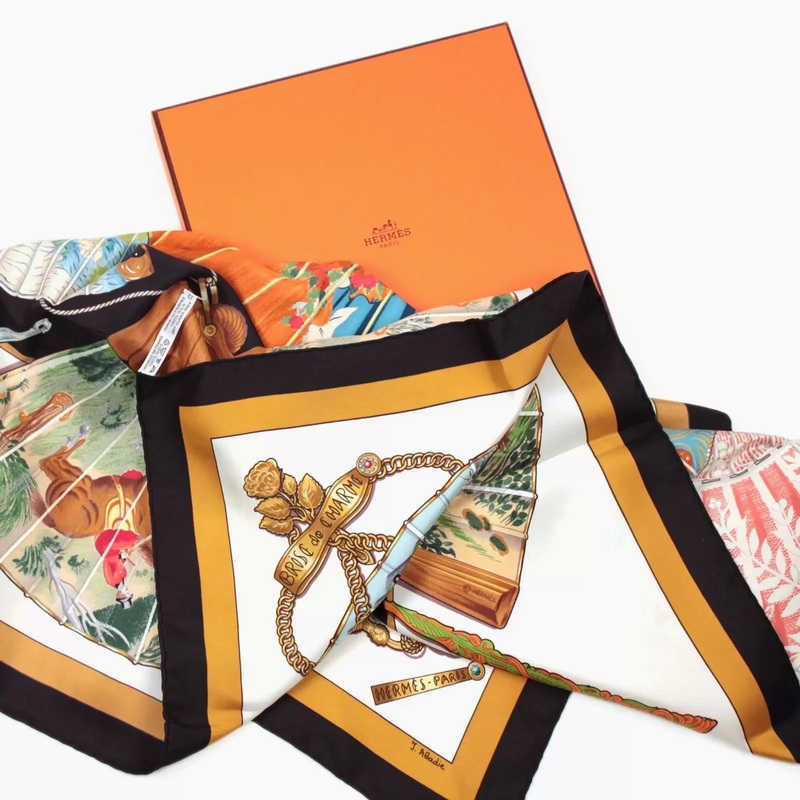 The scarf has special cultural and aesthetic value and will be a wonderful addition to your wardrobe for a special touch of classical sophistication from Hermes.